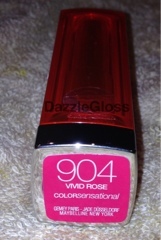 Today I am going to review the lipstick from Maybelline Color Sensational Line in Vivid Rose 904. This is one of their new colors for the summer from the Vivid Line and it claims to be more pigmented and creamy than the regular line. 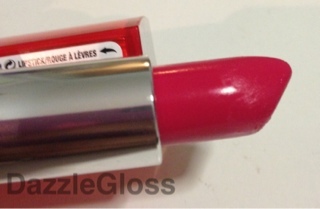 This particular shade caught my eye because it reminded me of the YSL rouge volupté in Rose Culte. 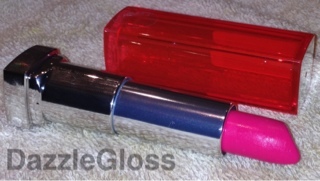 When applied on the lips it glides smoothly and with one coat you get a pretty good pigmentation of color. I would suggest using two to three coats to get the actual color that is in the tube. I wouldn't call this super creamy like my YSL because it does tug on my lips when applying the first layer. The staying power of this lipstick is like any regular lipstick, about 3-4 hours with eating and drinking going on. After that it stains the lips to a beautiful rosy pink which looks gorgeous. I will have to agree with the pigmentation claim that it has more pigments than the regular line of lipstick thats why it stains the lips. Using a water based makeup remover will not take it off completely. You will have to use an oil based makeup remover. I compared it to my YSL lipstick and the pigmentation and color is almost exact. 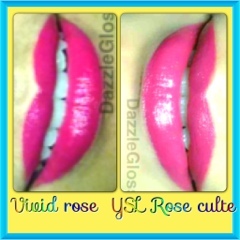 It is a very close dupe so if you are looking for a similar color to the YSL Rose Culte your search ends here because it is the same color but one fifth the price. Also maybelline is always on sale in Priceline and Chemist Warehouse because I picked mine for $8.84 from chemist warehouse and it was $10 in priceline. The Rose Culte looks a bit lighter because I used only one coat of the lipstick whereas the Maybelline one has three coats on. If you look at the shade you can see that they are very similar. Hope you found this review useful. Do let me know in the comments below.